Although most sleep experts don’t advise keeping a television in the bedroom, if you’re a diehard TV fanatic and can’t resist binging on Game of Thrones or relaxing in bed with the latest episode of House of Cards, then this blog post is for you. These five solutions give you options, so your bedroom can still appear stylish and the television doesn’t need to be a focal point. This Lake Michigan home utilizes a smart pop-up cabinet for the TV. The screen neatly recesses into the case piece at the foot of the bed, so there’s no sign of a television in the room. In a nutshell, now you see it – now you don’t. The designer of this elegant bedroom in Los Angeles used a frame around the television, so it creates the illusion of a piece of art. Although no one can ignore the flat screen, it blends in nicely with the interior. With its pitched ceilings, dormers, and fireplace, this Seattle bedroom oozes charm. 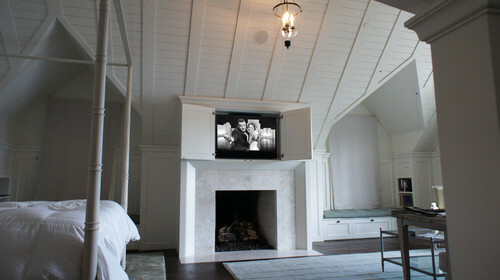 The television is cleverly tucked away in millwork above the mantle. This traditional bedroom in Portland has recessed the TV, so it hangs in a niche, creating symmetry along the fireplace wall. If you’re married or have a significant other, you know that few couples appreciate all the same television shows. This bedroom solved the issue by installing two separate units. He can watch all the sporting events he wants, and she won’t miss her favorites on HGTV or BRAVO. How perfect! Pokémon Gotta Catch ‘em All! 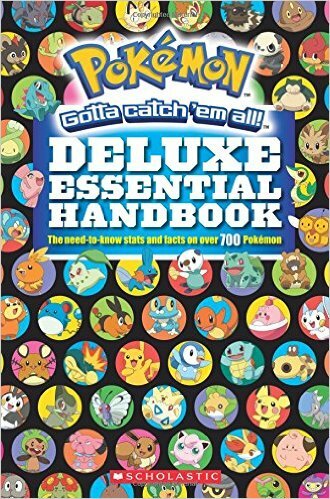 Deluxe Essential Handbook : the Need-to-know Stats and Facts on Over 700 Pokémon by Scholastic. I’m too old to have caught the Pokémon fever when it first came out. I was vaguely aware of something called Pikachu and that there was a turtle named Squirtle. But as a parent I learned that the exciting world of the Pokémon card game never actually went away. My son has piles of cards, and binders full of these critters, sorted by type. There’s electric types and grass types and poison types. We’ve watched the cartoon a million times but every time he’s asked me what my favorite Pokémon is, I’ve only been able to say: what’s that one that looks like he has broccoli on his head? There are hundreds of these guys out there and many change form as they evolve. Of course, nearly everyone knows that now. The wildly popular Pokémon Go! game has turned our entire planet into a game board with gyms, Pokéstops and weird little creatures everywhere. Can I say that my kid was into it before it was cool? 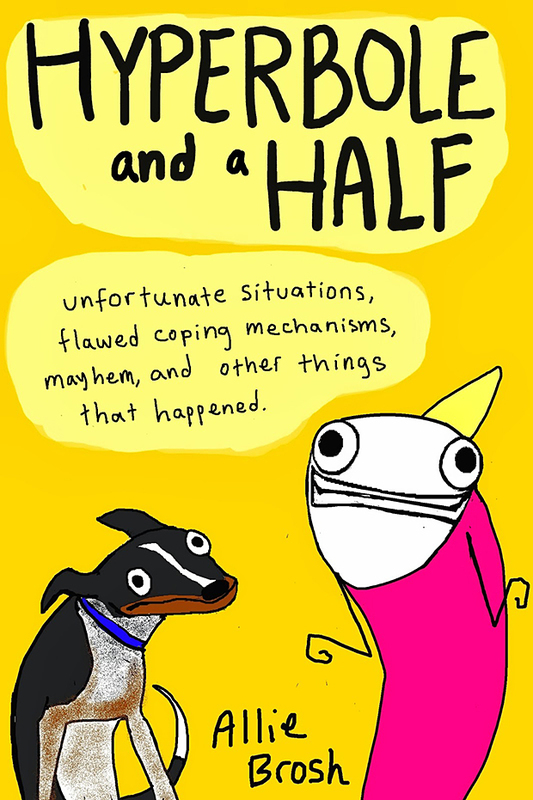 Either way, if you or your kid (you can say it’s for your kid if you’re embarrassed—it’s okay, you’re not alone) are interested in making sure you have all the information you could ever need, then this Essential Handbook is probably something you need. Not only does it have a handy pronunciation guide, but it shows you all the evolutions and powers of each Pokémon. It even tells you weight and height. My son has an incredibly deep knowledge of this universe. We spot a silhouette of a Pokémon and he can tell you exactly what it is. As far as reference books go, this is less useful than the Farmer’s Almanac but way more interesting to kids and grown-ups of a certain ilk. 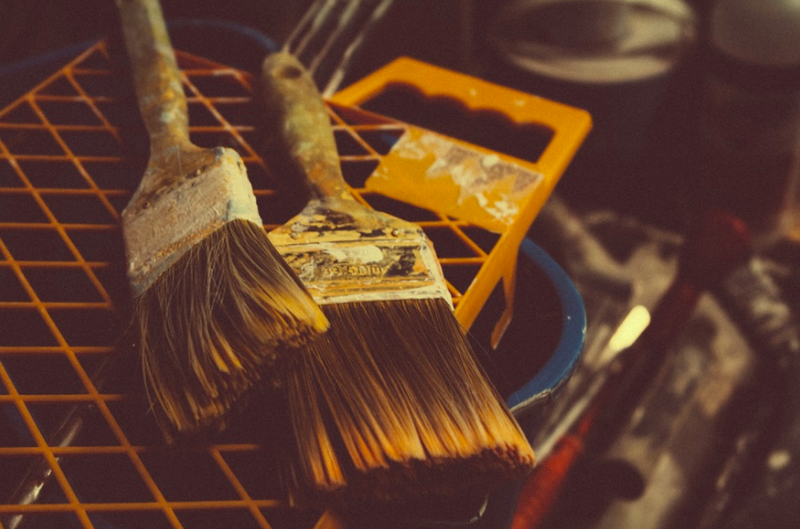 A bedroom that isn’t completely enclosed might sound less than practical, but depending on where you live, sleeping outside can be a lovely alternative to the traditional interior room. From getting in touch with nature to experiencing the sounds and smells of the great outdoors, snoozing under the stars has its merits. 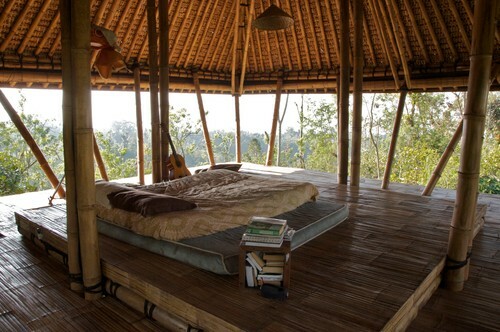 In case you’re not convinced, let’s take a look at some of the best outdoor bedrooms around the globe. 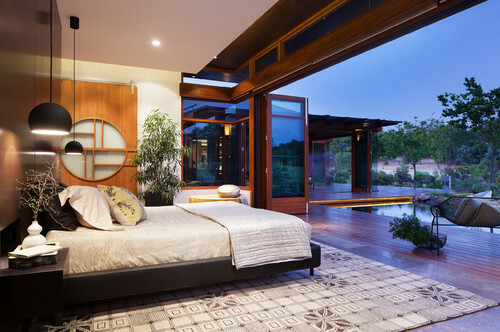 Interior and exterior lines blur in this Asian-influenced master bedroom. Glass doors fold open and create an outdoor space in this Western Australia home. You couldn’t pull off this patio just anywhere. 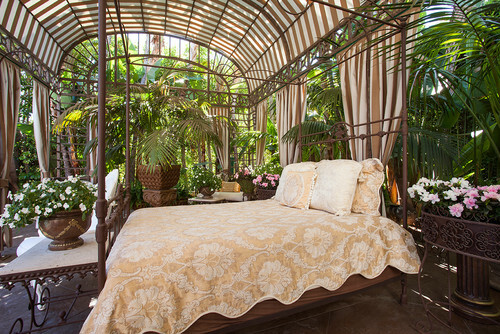 Of course, this creative bedroom tucked under a pergola is in Miami. How enticing does this space look for a nap, or even an entire night slumbering in the backyard? Located in the mountains of Bali, this tropical home boasts a simple space for sleep. With bamboo construction and trees as the backdrop, this open-air bedroom might be minimalist, but it’s far from mundane. 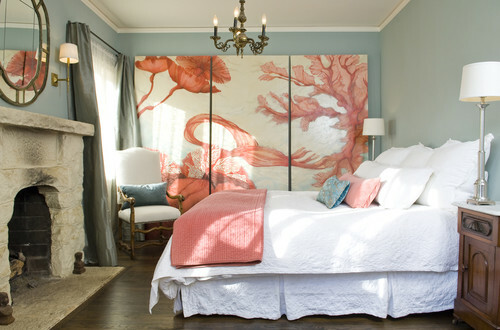 Island-inspired, this Los Angeles bedroom takes sleeping under a cabana to another level. Wispy palm trees lend a tropical feel. This magnificent vacation home in Mexico opens its doors to bright blue waters. 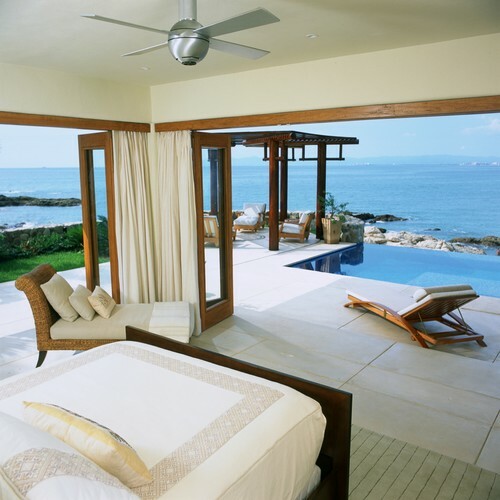 This brilliant architectural design is ideal for beach lovers. Photo by Soucie Horner, Ltd.
After seeing these five innovative and lovely outdoor bedrooms, how do you feel about sleeping under the stars?